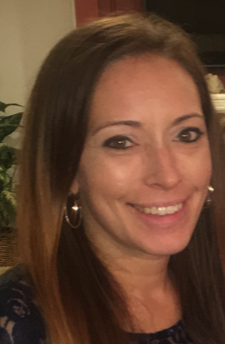 Jessica Leah Holcomb, 32, of Fredericksburg, beloved daughter of Carol Jenkins, returned home to her Father in Heaven on December 17th, 2018. She is survived her mother, her sister Kylie, three beautiful daughters, Emma, Lilly and Autumn, and a young son Robbie; as well as her maternal grandfather Leroy Mozingo, paternal grandmother, Deloris Holcomb; and a number of aunts, uncles, cousins and close friends. Jessica was preceded in death by her father Jeffrey Holcomb, maternal grandmother Margaret Mozingo, and paternal grandfather Robert Holcomb, Sr.
Funeral services will be held at Storke Funeral Home, 11089 James Madison Pkwy, King George, VA 22485. The family will receive friends from 6 p.m. until 8 p.m. on Friday, December 28th. A celebration of her life will be held on Saturday at 1 p.m. with interment to follow at Historyland Memorial Park.